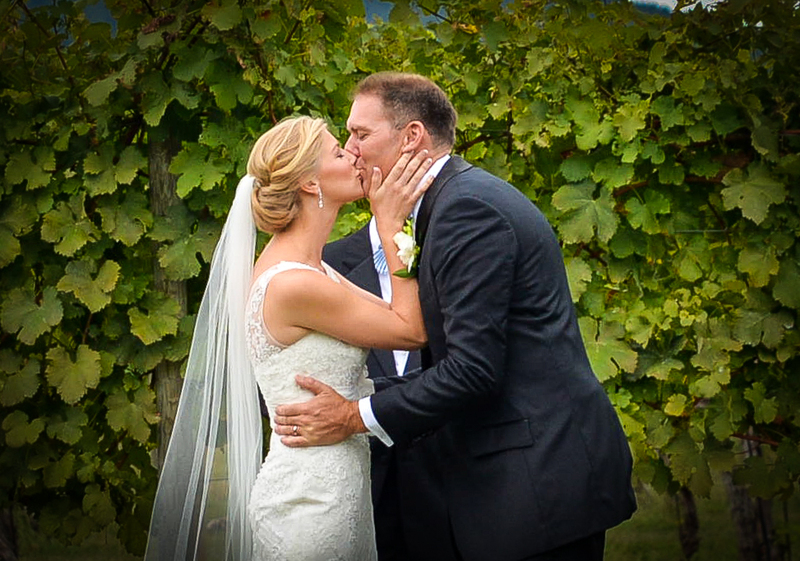 Congratulations to Katie & Jay who were married at Keswick Vineyards on Saturday, September 13th, to start our 3 in a row wedding week end. The morning started with rain so I think Katie & Jay accepted the fact that they were most likely going to have to go with their rain plan. With the help of Mother Nature and our magical umbrellas, no such thing was going to happen. Katie & Jay ended up having some dramatic skies and great overcast lighting for their photos. The weather was cooler which was just perfect for everyone. It was great getting to know Katie & Jay over the past year as they planned their wedding and made several stops to visit. It gives us such pleasure to see the happiness we bring to each of our couples and their families. Katie & Jay are just one of the cutest couples and full of romance. The look and feel that they created in the Sperry tent was soft sophistication. Simply elegant. 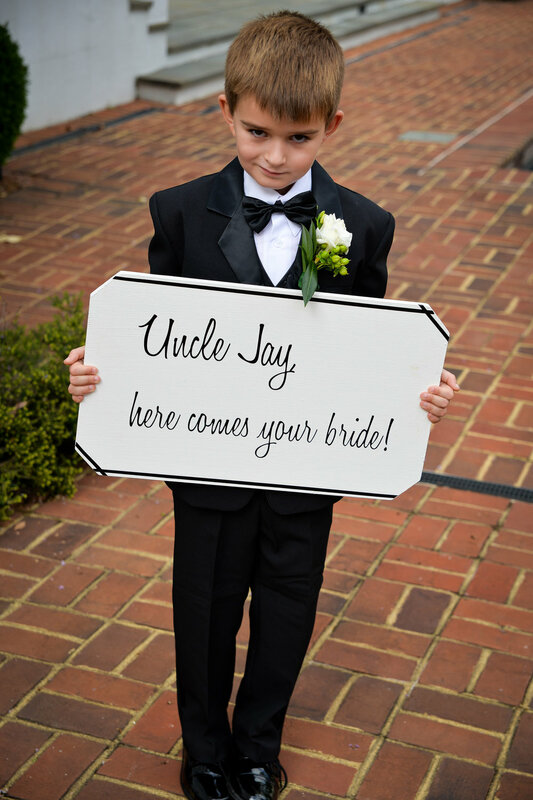 You could find their "cuteness" with how they had messages on the bottom of their shoes, Jay having his custom tuxedo monogrammed with their wedding date and the cute sign carried by Jay's nephew. What made this wedding extra special was for Jay's brother to not only be his best man, but also the officiant. How special is that? It was great sharing their day with some of our most popular vendors. You will see by one of my photos how their 2nd shooter photographer was showing me how he would make a Rose wine; by pouring a red & white wine together:) I think Jeff should stick to photography! Thanks to the following vendors for such a fun & perfect evening: Event Planner Barb Wired, Caterer 20 South, Jamie Kay Photography, Flowers by Natalie, Hair & Makeup by Lora Kelly, Pastry Chef Paradox Pastry, Carpe Donut, Festive Fare for rentals, Albemarle Limousine and Gordon Holloway as officiant. Click here to see photos from Photographer Jamie Kay.